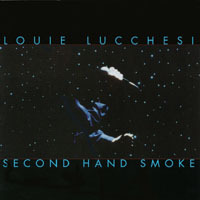 Fans of late 80s and early 90s local rock may remember Louie Lucchesi as the frontman of the sublimely slick and criminally overlooked “Crime Family,” an assemblage of hot-shot local players who brought a slice of Roxy Musicesque pop to our fair city. Then as now, Louie Lucchesi gets my hands down vote as this city’s best kept secret. I’m tellin’ ya, this guy is a singer, a vocal stylist whose prowess with his pipes is matched only by his song writing skills. When he’s not flexing his flair for melody and poetic lyricism, Lucchesi showcases his ability to root out a fantabulous pop song. Todd Rundgren, Bryan Ferry, and the Mosleys’ own Mike Fredickson, are among the tunesmiths that get a tip from Louie’s hat, and in all cases, he bends and shapes their creations and makes them his own. Fredickson’s “Rope of Desire” and Roxy Music’s hit, “Love is the Drug” are especially brilliant. Mike Hoffman and Scott Finch took turns producing, which makes the disc sonically spotty in places, but crack performances by such local stalwarts as Jeff Hamilton, Rich Thomas, Paul Ryan, Bo Conlon, Chris Lehmann, and brother Joe Lucchesi more than save that slight flaw. The CD is available at CDbaby.com/llucchesi, as well as at Atomic and the east side Exclusive Company.